Screening followed by discussion with filmmaker Matthieu Rytz and Marcos Orellana, Director, Environment and Human Rights Division, Human Rights Watch. What if your country was swallowed by the sea? 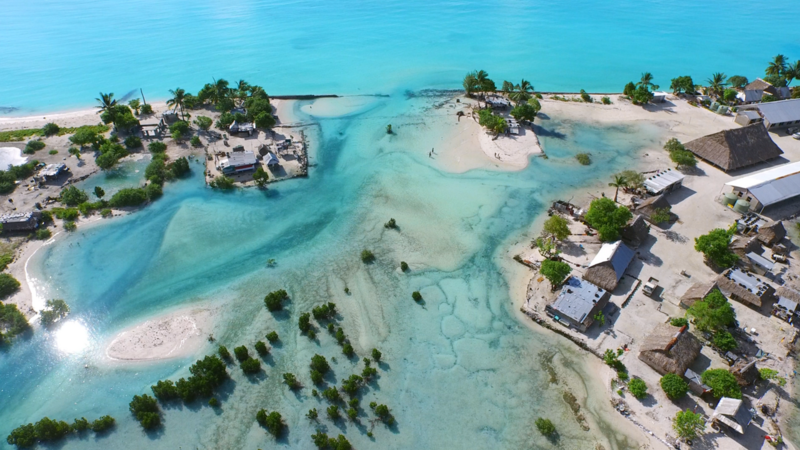 The idyllic Pacific nation of Kiribati will be submerged within decades due to climate change. As President Anote Tong passionately embarks upon a race against time to save his people and 4,000 years of Kiribati culture, islanders are already feeling the pressure to relocate. Sermary, a young mother of six, must decide whether to use a sought-after lottery visa and leave her children behind to build a future for her family overseas. Set against the backdrop of international climate negotiations and the fight to recognize climate displacement as an urgent human rights issue, Anote’s Ark presents personal stories that serve as cautionary tales for the entire world. A vital forum for cinema that tackles important global issues, HRWFF annually showcases an international selection of acclaimed films that bring human rights struggles to life through storytelling—challenging, provocative movies that call for justice and social change. Additional screenings take place at the Film Society of Lincoln Center.